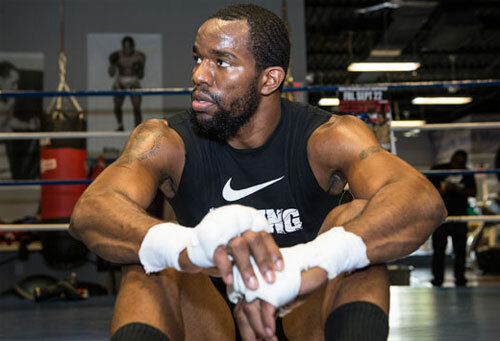 Number one WBO super middleweight contender Jesse Hart, 22-0, 18 KOs, finally gets his shot at a world title after a lifetime of preparation, enormous expectations, and two generations of familial waiting. 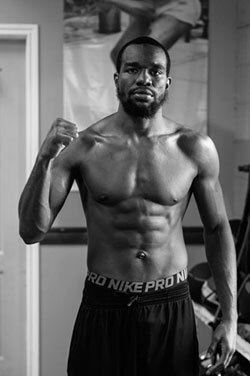 Hart, the son of Philly middleweight legend, Cyclone Hart, faces WBO champion Gilberto Ramirez, 35-0, 24 KOs, Friday night, in Arizona at the Tucson Convention Center, live on ESPN. 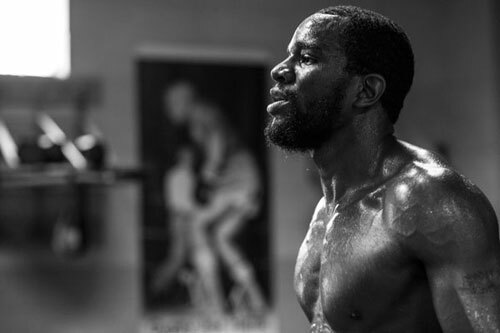 Even before Hart’s father brought him to a boxing gym, with a mission to turn the boy into an Olympic and professional boxing champion, high hopes have always surrounded Jesse Hart. He was a celebrated amateur whose sure-fire streak toward a Gold Medal at the London Olympics in 2012, was aborted by a pair of bad decisions in two different divisions which ended his Olympic dream at the box-offs level. Undeterred, instead of chasing Gold in London, Hart turned pro that same summer in Las Vegas. It began a twenty two bout winning streak that brings him to Friday’s fight for the WBO championship. Along the way, Hart has proven himself to be a solid prospect – powerful, fast, hard-working, and bigger than your typical 168 pounder. He’s faced some good opponents, but none with the credentials or the reputation of the left-handed champion, Ramirez. The fight figures to be a difficult assignment. However, Hart carries an easy confidence and believes that his fabled bloodline will give him the edge that is needed to beat the champ and bring the title home to a city hungry for winners, and a family eager to secure its name as one of Philadelphia’s royal families of boxing. 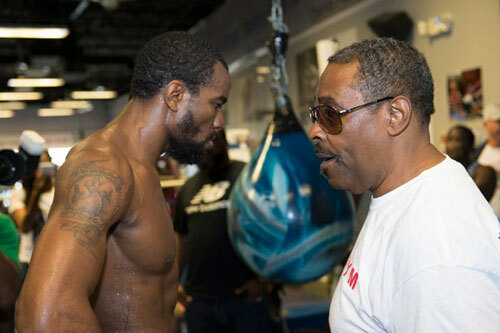 In addition, Hart’s head trainer, Fred “Herk” Jenkins, Sr. is looking to add another world champion to his own legacy. 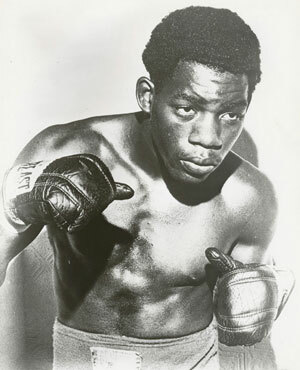 At 25, Jenkins steered North Philly’s Charlie “Choo” Brown to the IBF lightweight crown. 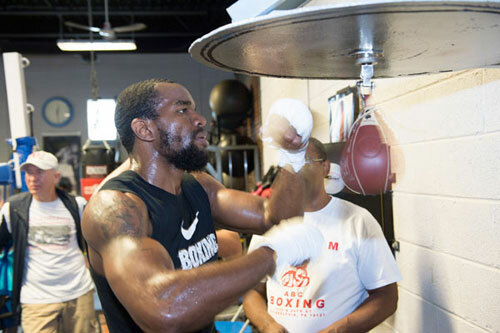 Since then, he’s guided countless fighters at North Philly’s ABC Rec Center Boxing Gym, on 26th and Master Streets. However, not one of them has won a world title since Brown in 1984. 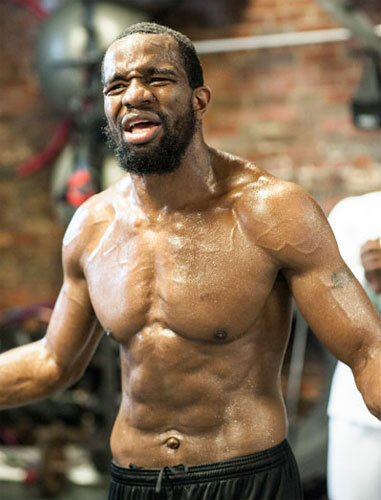 Fred’s taken other fighters into title fights, and he’s been betrayed by numerous fighters who’ve left him for other coaches, after tapping Jenkins’ vast experience. But only Charlie Brown has officially added a title belt to Jenkins’ resume. 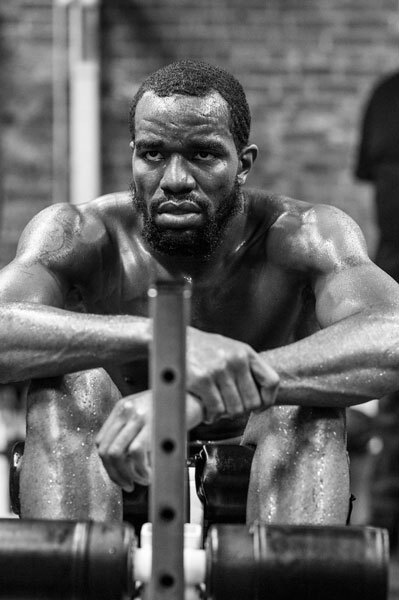 Still, Jenkins is considered one of Philly very best trainers. So it is legacy that most drives Jesse Hart. His legacy as a Philly fighter and his legacy as a Hart. 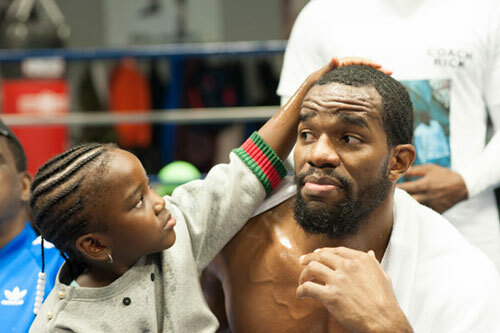 “My Dad was one of the best middleweights not just in Philadelphia, but in middleweight history,” Hart said. “He had deadly knockout shots. Ring Magazine called him one of the 100 greatest punchers of all time. My Dad is listed number 56 out of every fighter we ever saw in the world. To be certain, everyone is counting on Jesse to deliver, but that pressure doesn’t hurt him. In fact he says, it has the opposite effect. So Jesse’s time is now. “My father always said, ‘in due time’, Hart said. “Everything comes in due time. I wasn’t ready before. I just had self-belief. You got to believe in yourself first. Everybody else can believe in you, but if it don’t start with you, it don’t mean nothing. “The preparation has been great, Hart said. “I see this guy (Ramirez) everywhere I go. He’s on the front of my phone. He’s in my bedroom. He’s on the mirror. I got a picture of him on the mirror. I’ve been eating, sleeping, and breathing this guy since July 5th (the opening of camp). To wrest the title, he has to go through “Zurdo” Ramirez, and undefeated Mexican in his second title defense. Also a Top Rank fighter, Ramirez is currently considered the best super middleweight in the world. “Herk has always said, ‘In order to be the best, you got to beat the best’,” Hart said of his trainer. “This is going to be big,” Hart said of his potential title victory. “Not just for the City, but for my family legacy. My Dad was rated #3 in the world, but never landed a title shot. To take it further than he did, I got to win a world championship. I have to win it. That’s the family legacy. That’s most important for my own legacy. 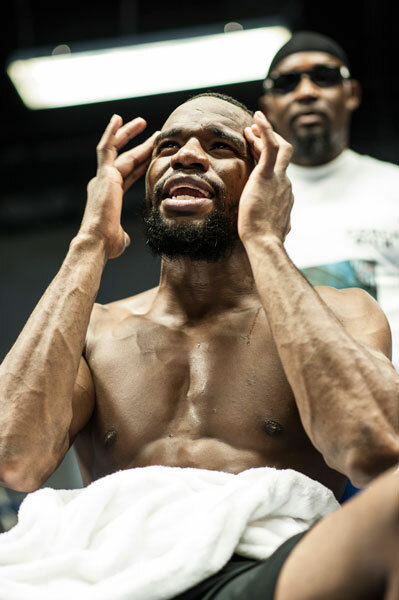 A little more than a year ago, Hart struggled against Dashon Johnson, a road warrior from California, who dropped Jesse in the final round of an exciting ten rounder. Hart came off the floor and won a convincing decision in a fight that was named the “2016 Philly Fight of the Year”. However the close call added many doubters to Hart’s following. “I’m different this time around,” Hart said. “I got smarter, a lot smarter. (Now I’m) planting my feet right. I know what kind of weight to put on my shots. There’s a lot I’ve learned. That fight I had here a year ago (Dashon Johnson), I didn’t get what my Dad and Herk said (right away). They said that it was the best thing that ever happened to me. That it taught me a lot. I still dominated that fight, but I learned and I grew. Hart fought once more after the Johnson fight, an impressive TKO of Alan Campa in April. Then the title fight finally materialized. 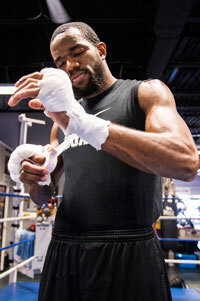 Hart gets his shot Friday night on ESPN, and if his Dad is right, Philly will have a brand new world boxing champion.